You're in the market for something tougher. You've seen other vehicles fail at crucial moments, lack power to do hard work, and give in when they were needed most. That just won't do. Your life demands something that can take all that in stride, and still come back for more-every time. 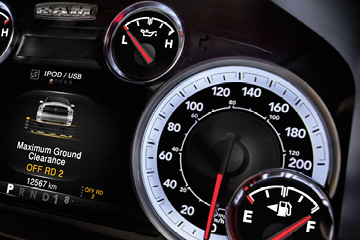 When no other vehicle will do, Dodge RAM is the brand that gets it done. 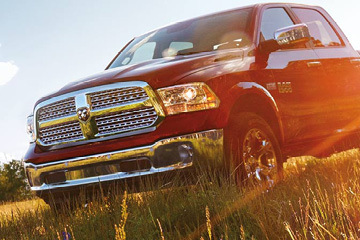 As Canada's longest-lasting light-duty pickup, you know the RAM 1500 is right by you for the long haul. Built and tested to tackle more than you'd ever demand of it, the Dodge RAM 1500 not only delivers on durability, but on raw power and capability-armed with the legendary 5.7L HEMI, Canada's best-selling V8 engine, the RAM 1500 took home the gold for its 3rd year as the Canadian Truck King Challenge winner for 2017! 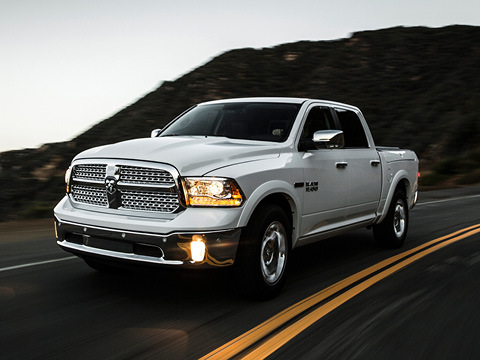 For a truck to trudge through the grueling trials and conditions of the Truck King competition and still come out on top, there's no room left for doubt that if you look for the best, you find it in the Dodge RAM 1500. But numbers and awards are one thing. The opinions and satisfaction of owners is another, and holds just as much, if not more, weight to how well the RAM 1500 performs. As the Consumers Digest "Best Buy" winner for the 2017, 2015, 2014 and 2013 model years, it's plain to see that RAM continues to wow critics and owners alike. 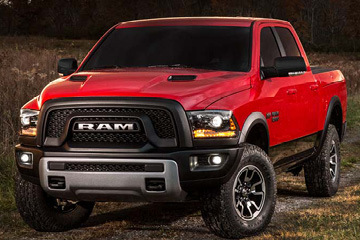 Think you can handle a RAM? Book your test drive today and find out what real power feels like! Canada's Best-Selling Engine delivers 305 horsepower and 269 lb-ft of torque, while reaching amazing fuel economy levels as efficient as 9.6 L/100 km (29 mpg) highway! With Canada's Best-Selling V8 engine, you're driving with the power that took RAM to first in the 2017 Truck King Challenge-395 horsepower, 410 lb-ft torque and a jaw-dropping 4,826kg (10,640lb) max towing capacity. This class-exclusive not only offers a beastly torque of 420 lb-ft, but does it while providing stunning Best-in-Class fuel economy of 8.0 L/100 km (35 mpg) highway! Aside from all the power and durability you get with a Dodge RAM 1500, you're also enjoying incredible Best-in-Class Versatility! Offering a wide array of standard and available cargo features like the class-exclusive RamBox® Cargo Management system, under-seat storage, and a fold-flat load floor. With this much space to securely store power tools, sporting equipment and other items, your RAM 1500 is ready for anything you need it for. Work or play, the RAM gets you there! For Canada's longest-lasting light-duty pickup to earn such a title, it has to have the data to back it up. And yes, we have the numbers. Analysing data of light-duty trucks sold over the past 28 years, an incredible 81% of RAM pickups are still on the road, going strong. When compared to other competing brands like GMC and Ford, who fall at 70%, or Chevy's 68%, it's a clear and proven fact that Dodge RAM tops the charts in durability. Notifies and warns the driver with an audible chime if an object or obstacle is in front or behind the vehicle, in spots that are difficult for the driver to see. Automatically activates the wipers when moisture is detected on the windshield-incredibly useful against sudden road splash or off-road mud splash. 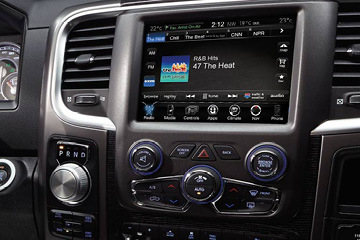 Standard on every RAM 1500, this system uses a network of different functions to allow optimal handling.